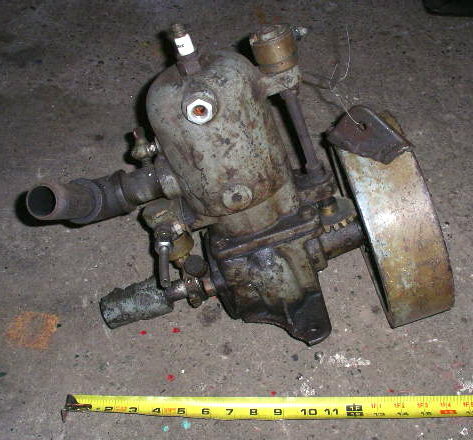 Old Marine Engine: HELP IDENTIFYING THIS ENGINE. About a year or two ago after posting this picture on this site I was told the ID of this engine...as well as the approximate year of manufacture....well I forgot what it was??? I need that info again and I promise I won't forget this time...thanks. Search Detroit Auto Marine and Little Major, there are other similar engines that seem to be in the same family. Do you have a photo of the carb side of the engine? Your post from a year or two ago is probably still here too. Use the search link at the top of the page and choose "Look in: Name of Authors" and they enter the name you used before.